The term, insidious, refers to something that proceeds in a slow and subtle way, but with harmful effects. Ubiquitous describes something that is present everywhere; something that is or at least appears to be everywhere at the same time. Metaphor is a figure of speech that compares two things that are not really comparable. In life, we always come across pretentious people, or people who claim to hate pretentious people, or even someone who might have called us pretentious? Pedantic describes someone or something that is overscrupulous, which means that they are excessively concerned with minor details or rules. When someone gives someone else a caveat, it means that the person is giving them a warning and that something dangerous is lurking about. The term ‘bona fide’ comes from the Latin ‘bona fide’, which means that “in good faith”. 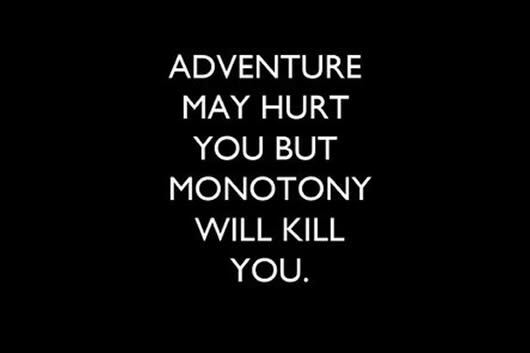 Monotony refers to a dull and tedious routine. The routine and the repetition of tasks lead to a lack of variety and interest, which causes one to feel bored, tired and/or disinterested in life and its activities. Dignity is basically the state or quality of being worthy of honor or respect. A dignified personality is someone who commands respect and has honor. The term refers to refer to an enterprise or venture that is undertaken. It can mean any strenuous effort or attempt at success.